You are currently browsing the category archive for the ‘score’ category. Back to lovely Highgate Common for the club championships. Since Barry H has adopted it as his area it almost seems like visiting him in his (large and overgrown) back garden. 🙂 Perfect running weather, and considering that I’d forgotten my bramble bashers, the area seemed mercifully free of the stuff that tears my legs in most Midlands woods. And I had a near-perfect run, something which is as elusive in 2016 as it was in 1996, despite 20 years of practice! 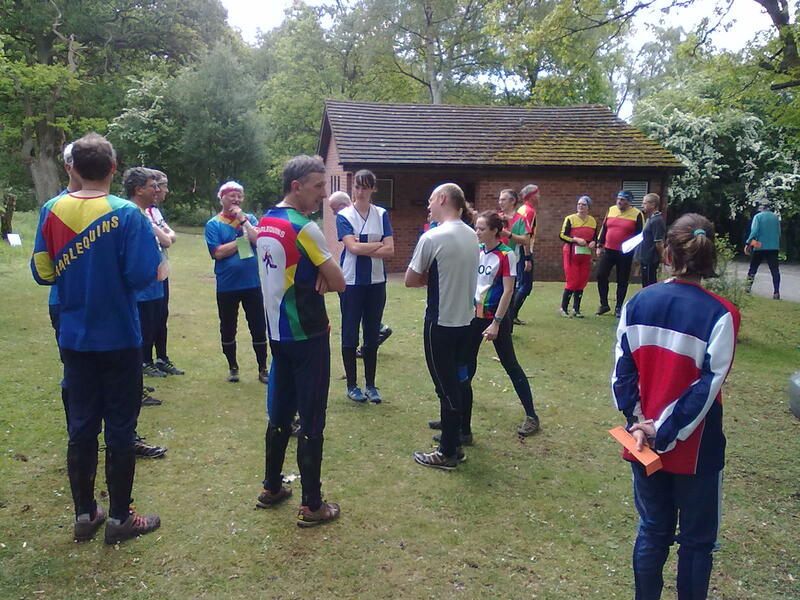 I got 24 controls in the hour (well, 60:00:30), which I’m sure must be the most I’ve ever managed at a club champs. Afterwards there was the club Christmas social, and considering the club has been doing some soul-searching of late because of the slide in membership, it was as ever one of the most joyous occasions of the year. 1. Put control numbers clear of map details that they will obscure and/or be obscured by. 2. Check the overprint colour. Condes appears to be the worst offender, with the default (?) colour containing too much red. The correct colour should be darker and purpler. Here’s some photos from the event. Congratulations to Ashley Ford, Alex Morgan and Rachel Dearden on being this year’s “main” champions. Alex beat last year’s men’s open champion, Romualdas Stupelis, by one second! What’s happening to the common (e.g. cattle grazing, tree felling) is quite controversial locally. 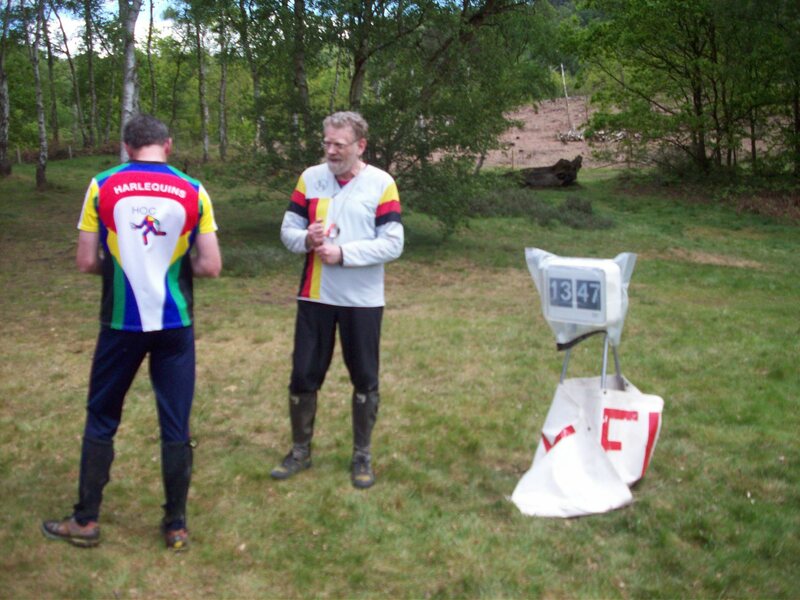 To mark his 40th anniversary as an orienteer, John Bennison put on a great little event on Kinver Edge: 40 controls to find in 75 minutes. 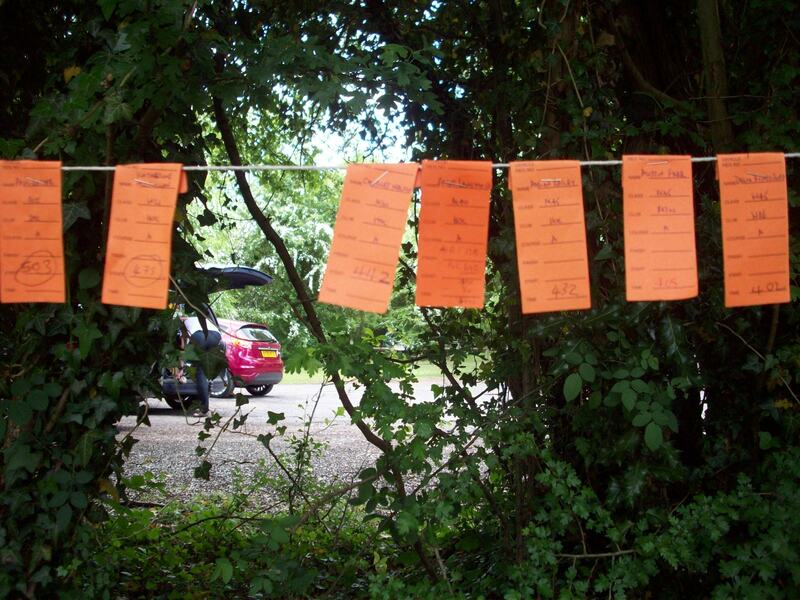 To give it a retro feel, we had clock timing and pin punching, though thankfully the maps were pre-marked! 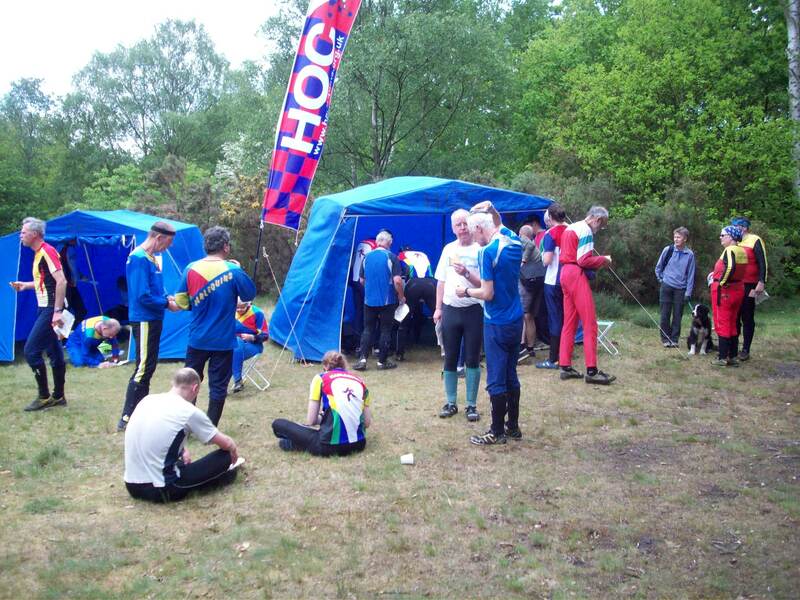 The good weather and the mass-start format made for a sociable occasion. I did pretty well, though I made the mistake (points-scoring-wise) of trying to get too many of the earlier lower-scoring controls. Although it’s a shame that so many Midlands woods are so rough – covered in brambles and other nasty undergrowth – it doesn’t matter that much really. 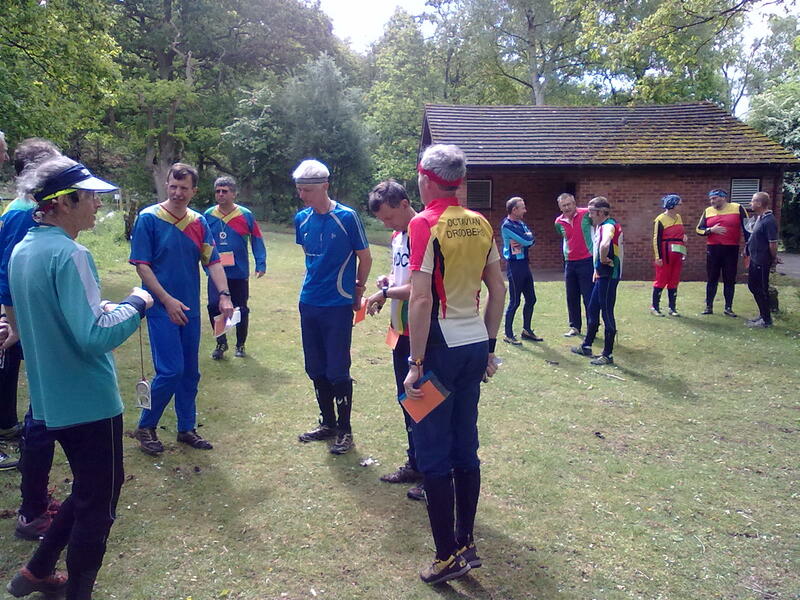 I don’t mind picking my way slowly through, and I think a lot of orienteers don’t mind either. Whatever the conditions, it is (as they say) a level playing field, and even leveller when the sprinters have got nowhere to sprint… Of course I ought to wear gaiters or bramble-bashers – then I wouldn’t get massive scratches on my shins that take a couple of months to heal – but even without them it’s still possible to get around in one piece, and it’s all part of the adventure. 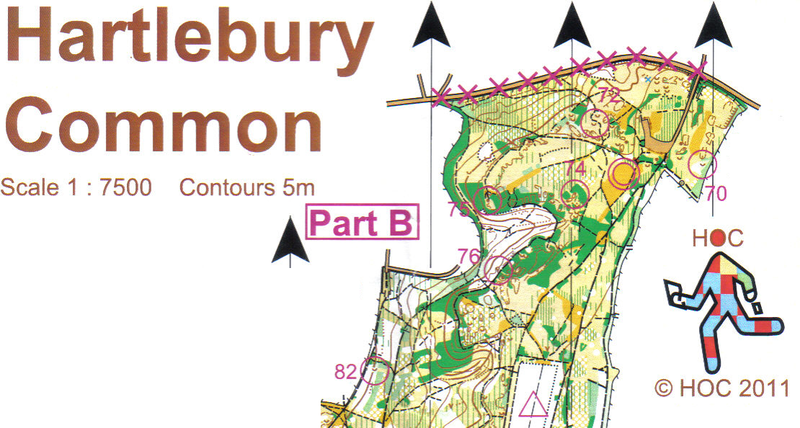 All good practice for the British Night Championships on the 5th of Feb. I wouldn’t normally enter, but this year they’re only up the road (Bentley Woods, North Warwickshire) so it seems daft not to have a go. The atmosphere will be excellent, I’m sure. Last night was round 6 of this season’s Night Street League and the venue was Redditch, considered by some to be the region’s best area for this particular variety of the sport, because the paths between the streets on the housing estates give loads of route choice. Another good night for running: cool and damp, and I’m running well, but not well enough: third in 49:30, just 5 seconds behind Andy White. I didn’t make any mistakes, but I need to stop less often to consult the map! Well done to everyone involved with organising today’s event in Willenhall, especially Barry McGowan and Chris McCartney. It was cold but the sun shone, so no-one seemed to mind the long communal walk along the canal. The start was a tad chaotic but I reckoned I wouldn’t be the only one to head off north-east across the canal, and I was with a small but select group through the first few controls. 🙂 I planned to get all the part-one controls but when I finished I realised I’d missed #14. Probably a wise mistake; maybe I shouldn’t’ve bothered with #1 or #9 either, but since there were only five “easy” part-2 controls it didn’t make much difference in the end. I was quite pleased with my run today, especially that first section north of the canal: 12 controls in 21:20. Well planned, John, well done. 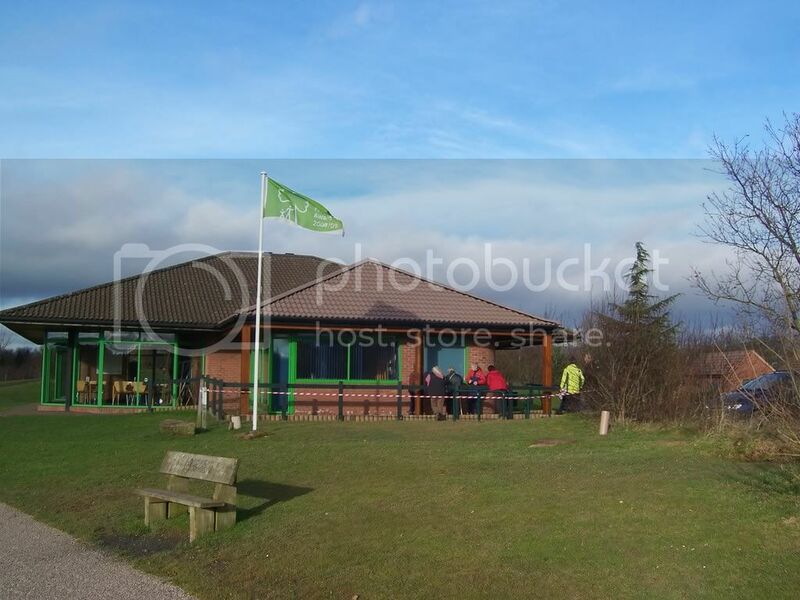 Sorry I had to dash off, there was a Christmas tree that needed buying… See you all again on New Years Day. I had a reasonable (and mostly enjoyable) run but nothing special: 17 controls in the hour, minus 1 for being a minute late back. But who cares? We won! btw, well done to OD for the excellent organisation. 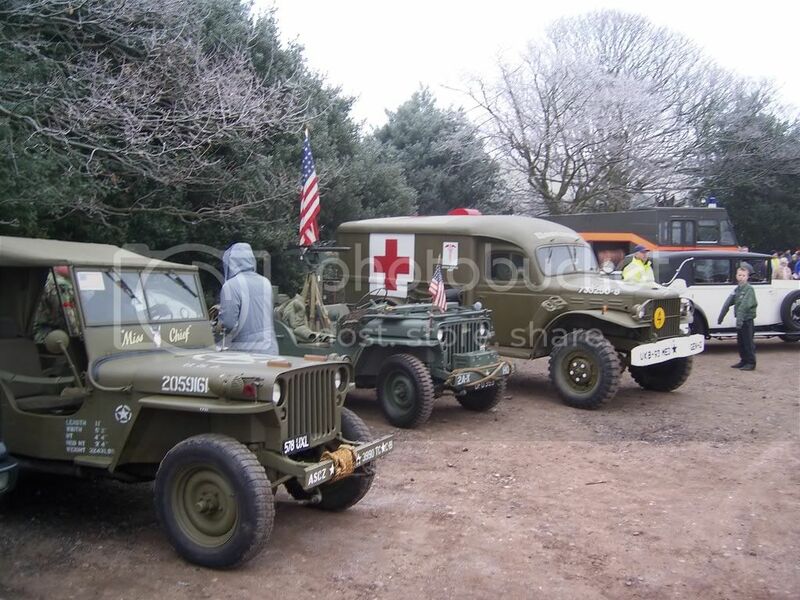 What with a couple of hundred mad runners (a very good turnout leading to (orderly) queues at most of the controls), another couple of hundred astonished dog-walkers, and a few military types showing off some vintage vehicles, the frost soon cracked under the collective weight! Did I mention that we won? 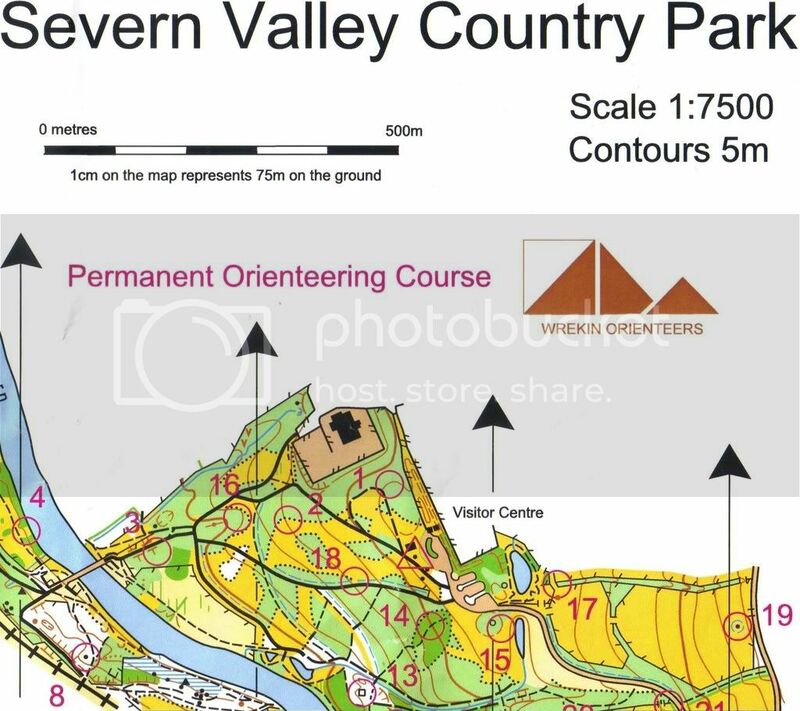 This was a mass-start score event using the permanent orienteering course at Severn Valley Country Park. I was late for the start but the organisers kindly allowed me a full allowance of time. I have a slight dislike of score events but my brain seems to cope reasonably okay with the challenge of working out the running order… in this case I got round all the controls without any difficulty (apart from a bit of knee gyp) in 45 minutes. I raved back in August about the sprint event I went to in Hungary, and this country park would make a good location for a Midlands Sprint Championships. 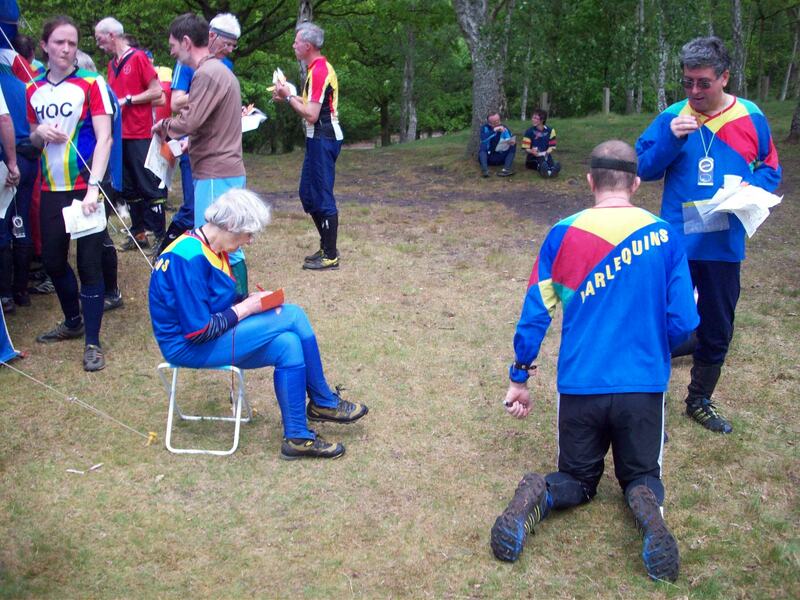 The first round in the morning, the second (and the prizegiving) in the afternoon. Andy and Marian White very kindly lent me a headlamp again (I’m hoping that Santa will bring me my own next month!) and I travelled down to Stourport with Andy Hemsted and Barry McGowan for the first night score event of the season. This was my first time on this area and it’s certainly very varied: grass, trees, bracken, heather, sand… The planner was Alison Sloman and she’d included some nice and simple controls so it wasn’t too hard for me to sweep up 13 altogether. After 45 minutes (I was midway between the “18” and the “20” on the map) my lamp suddenly went out; I discovered that the wires had come adrift at the connector and I couldn’t reconnect them. So I had to navigate more than a kilometre in the dark to the finish… Luckily it was full moon, but I couldn’t really see the map so I was pleased with myself that I didn’t get lost! These events are a lot of fun so don’t be scared (Halloween’s long gone!) 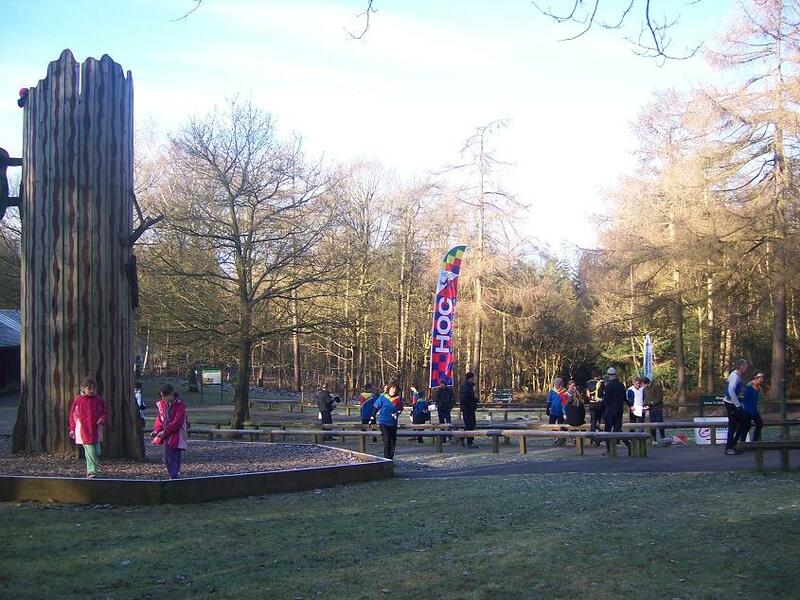 – come and have a go in the Lickey Hills on December 4th.